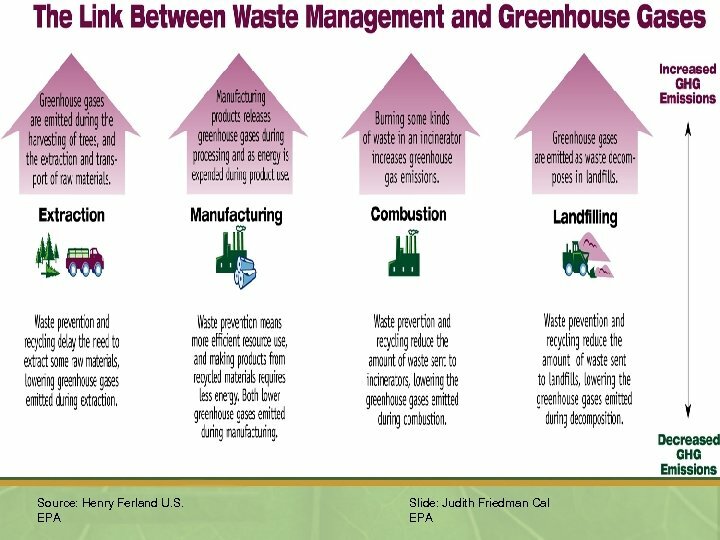 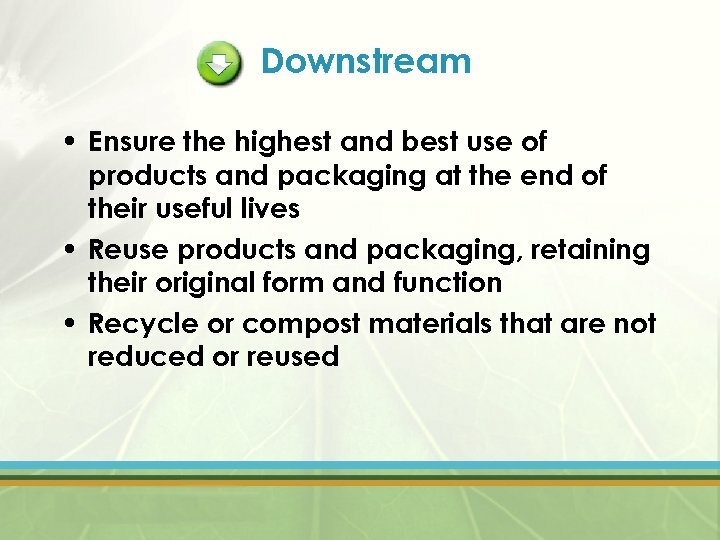 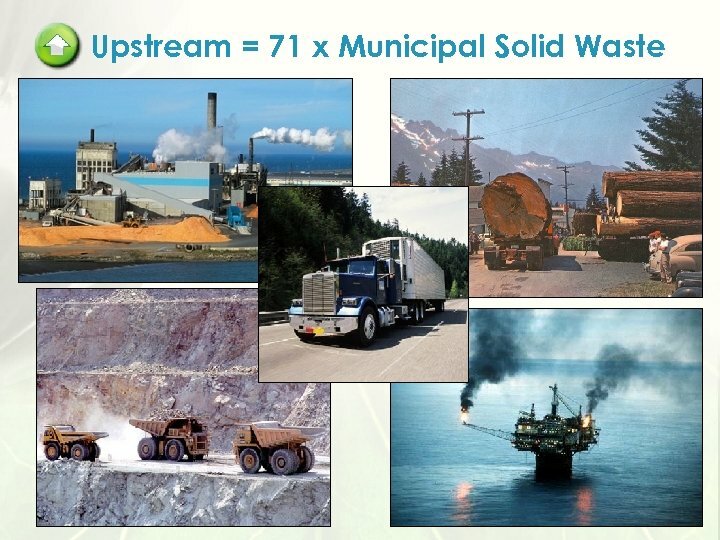 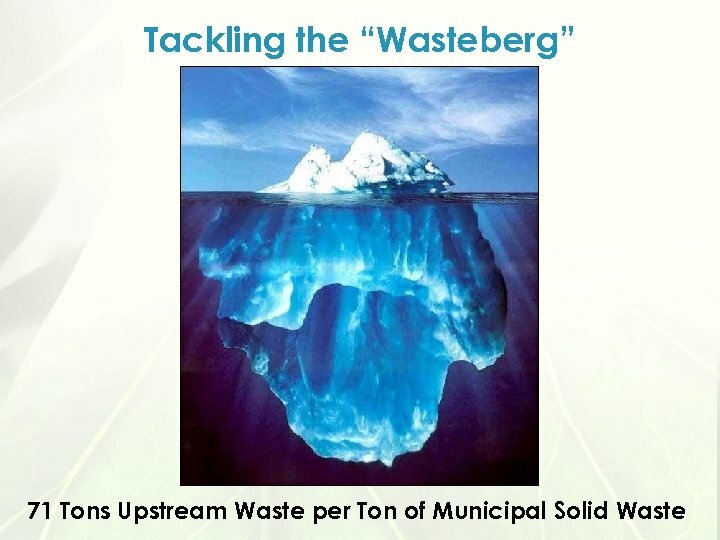 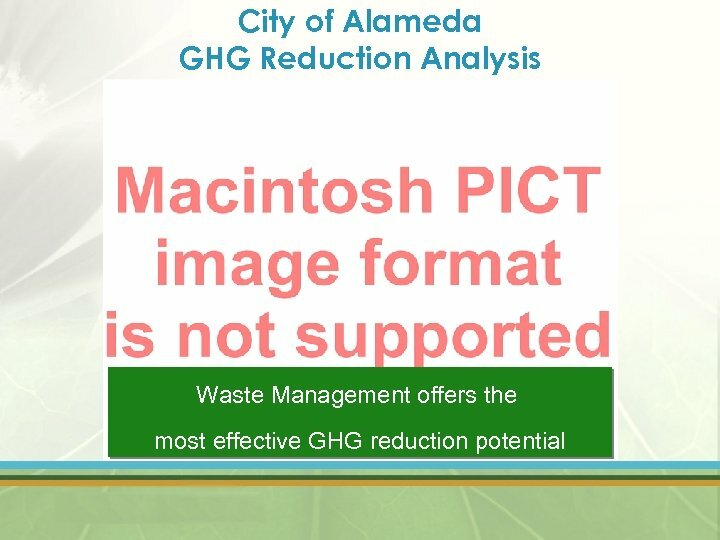 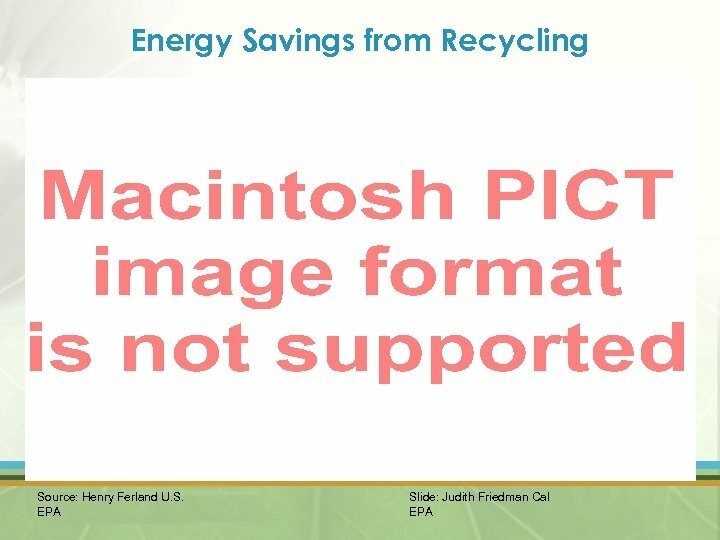 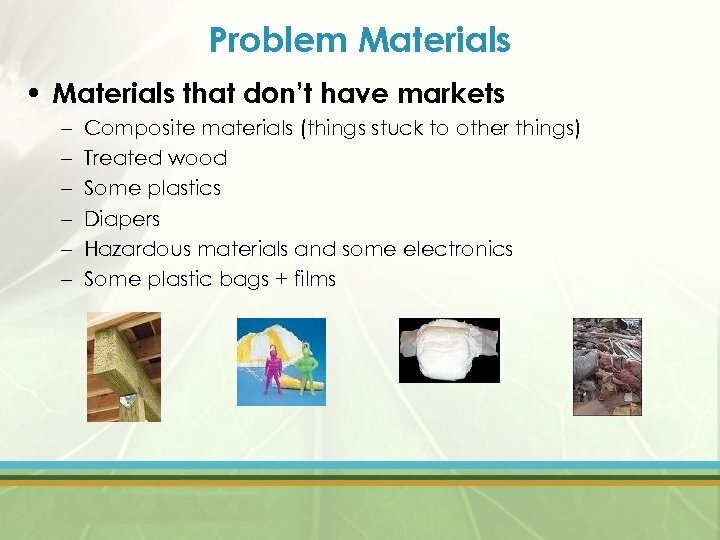 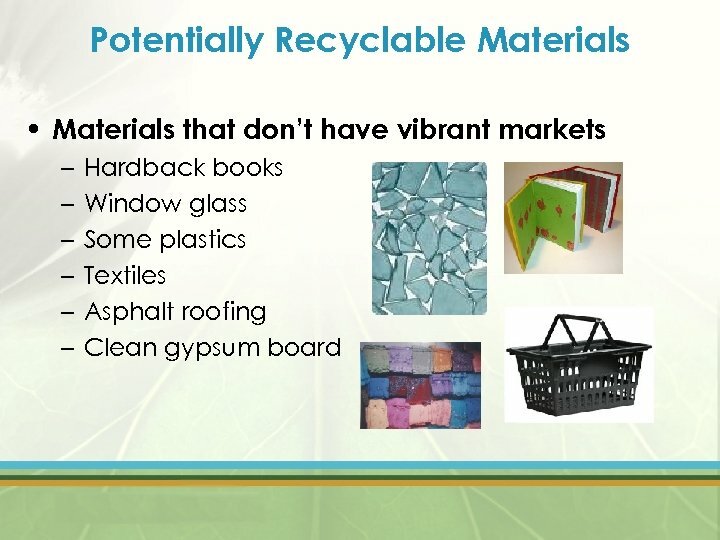 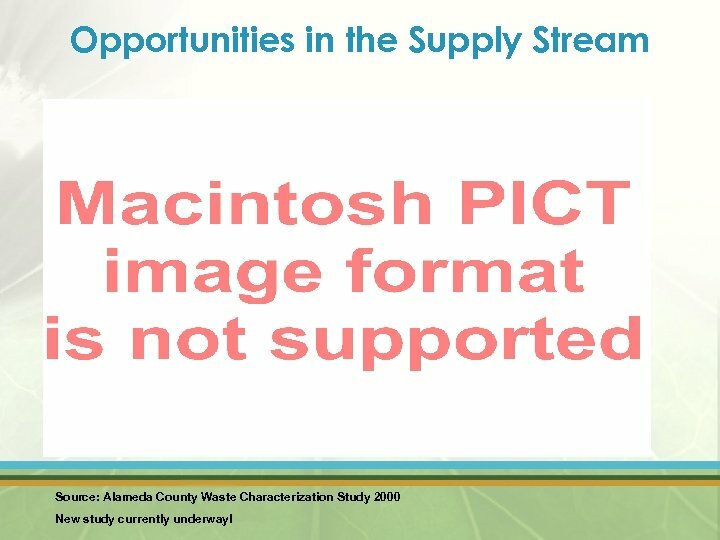 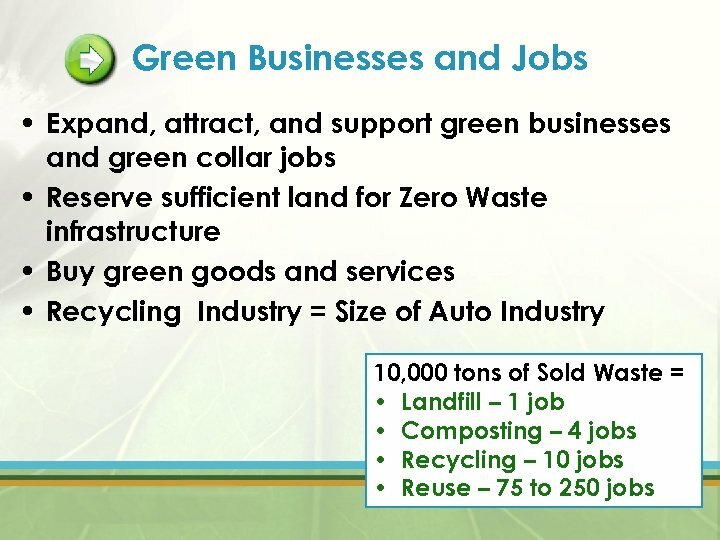 Opportunities in the Supply Stream Source: Alameda County Waste Characterization Study 2000 New study currently underway! 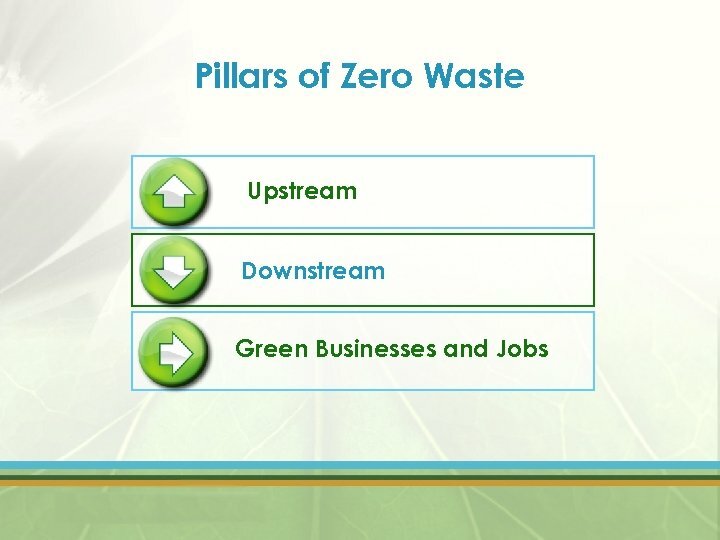 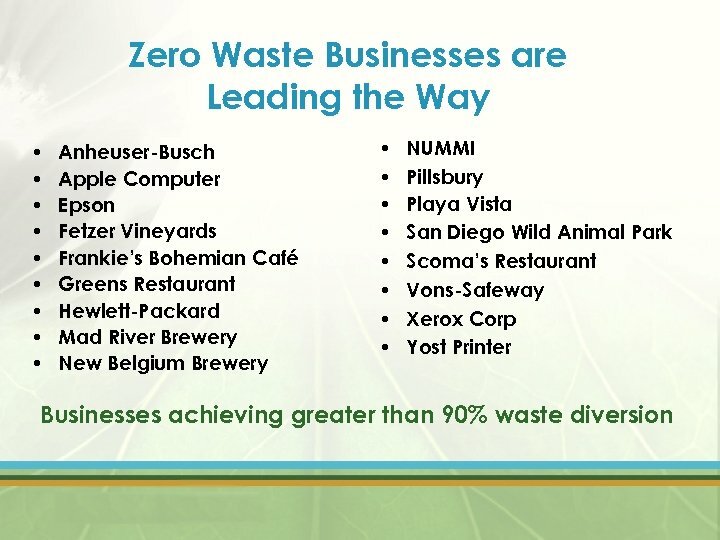 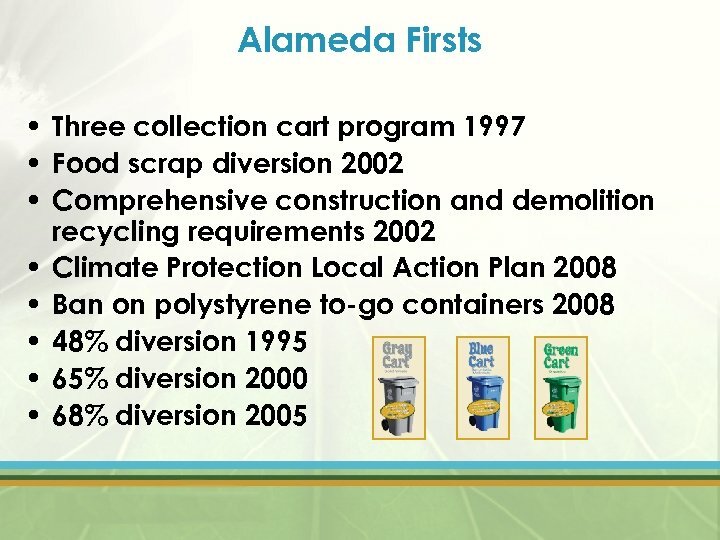 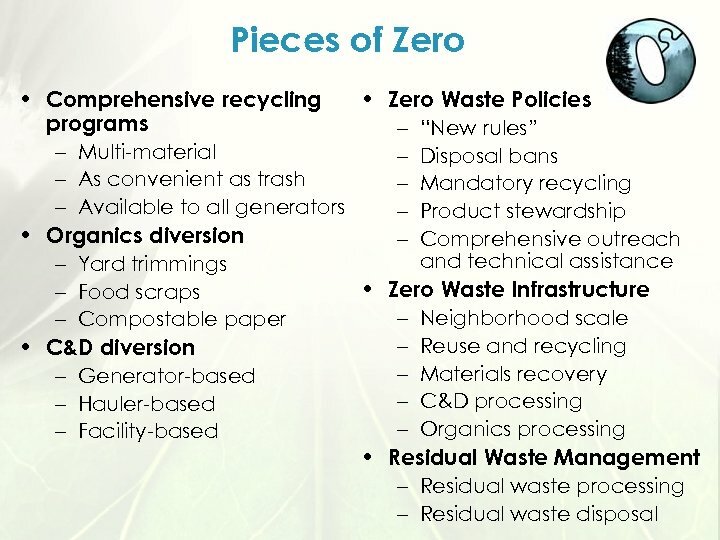 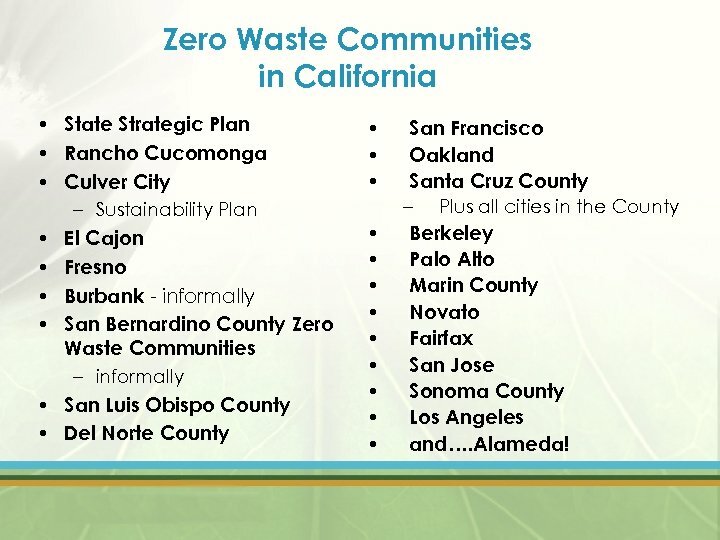 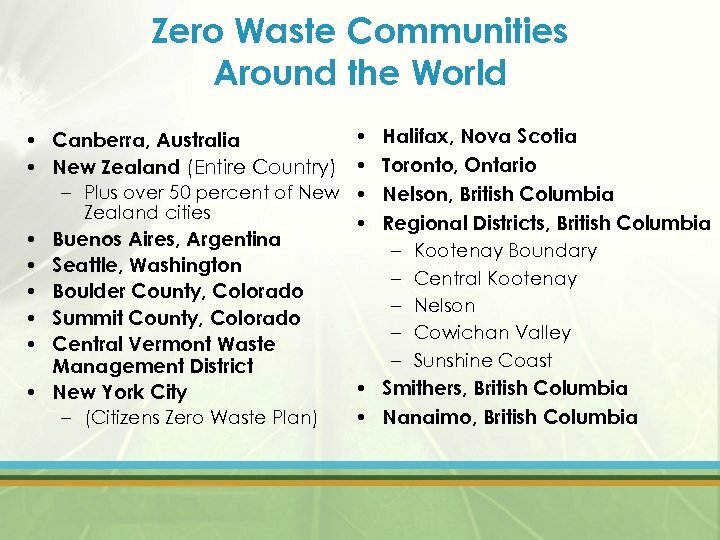 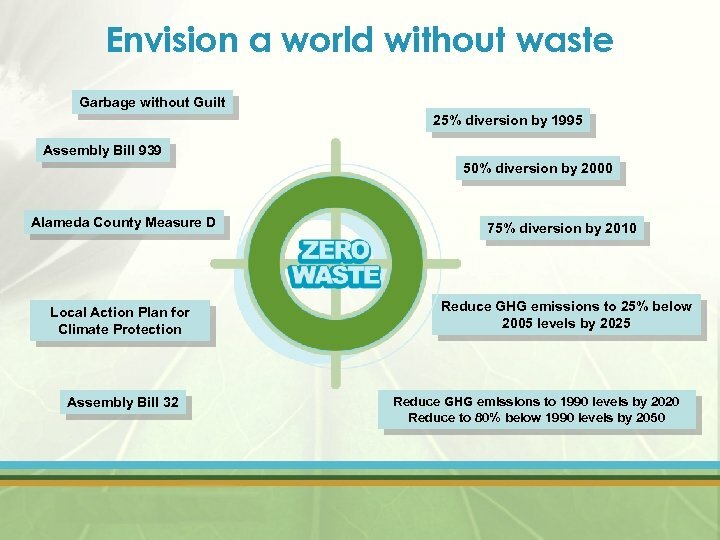 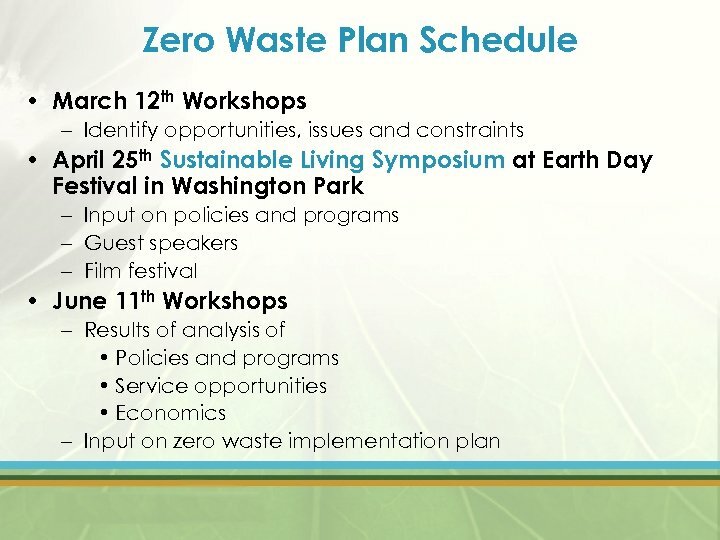 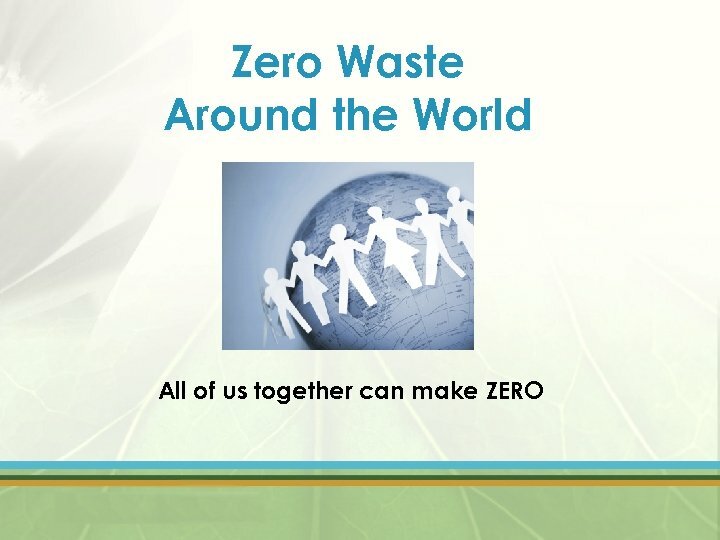 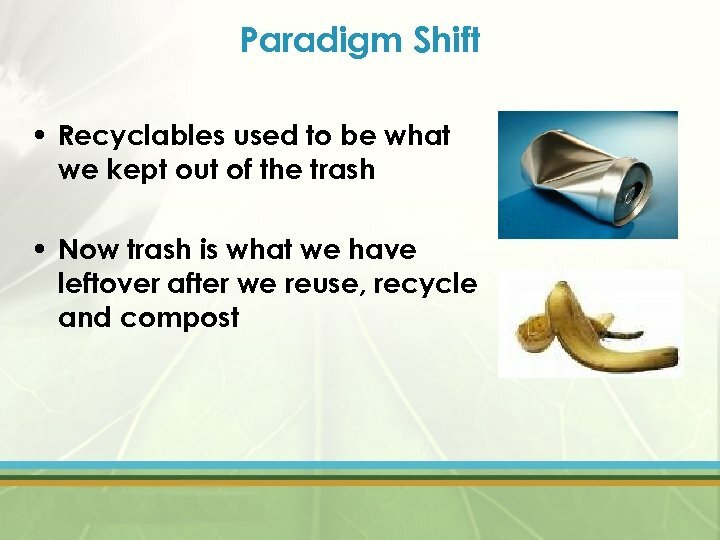 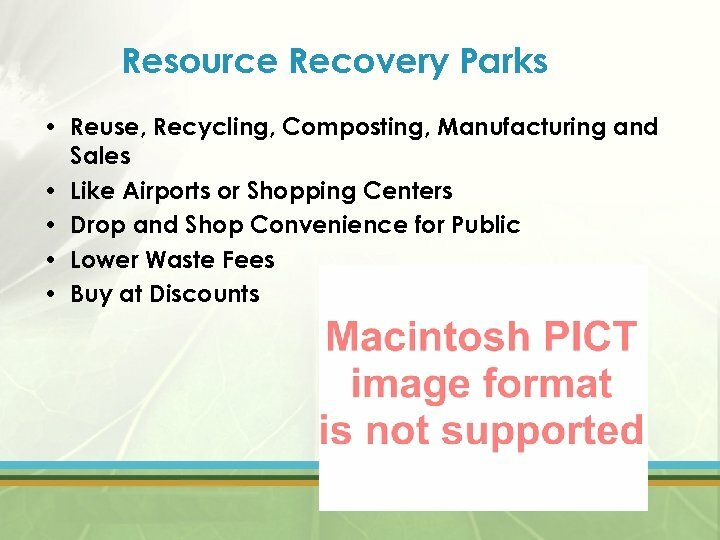 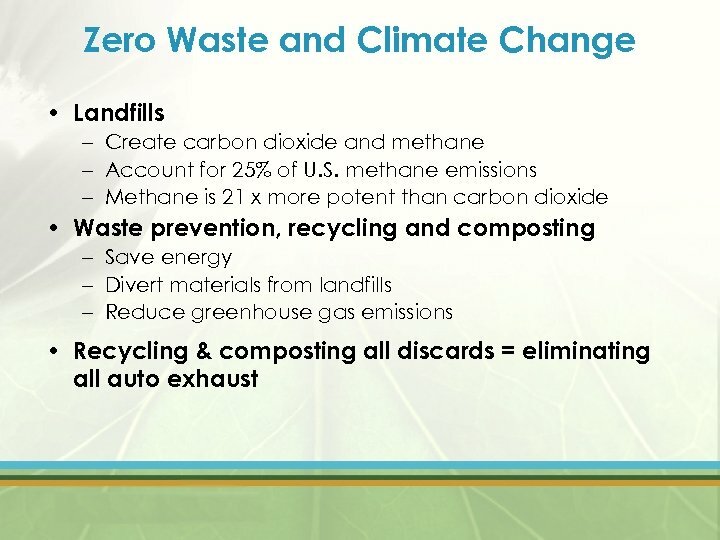 Zero Waste Communities in California • State Strategic Plan • Rancho Cucomonga • Culver City – Sustainability Plan • El Cajon • Fresno • Burbank - informally • San Bernardino County Zero Waste Communities – informally • San Luis Obispo County • Del Norte County • • • San Francisco Oakland Santa Cruz County – Plus all cities in the County Berkeley Palo Alto Marin County Novato Fairfax San Jose Sonoma County Los Angeles and…. 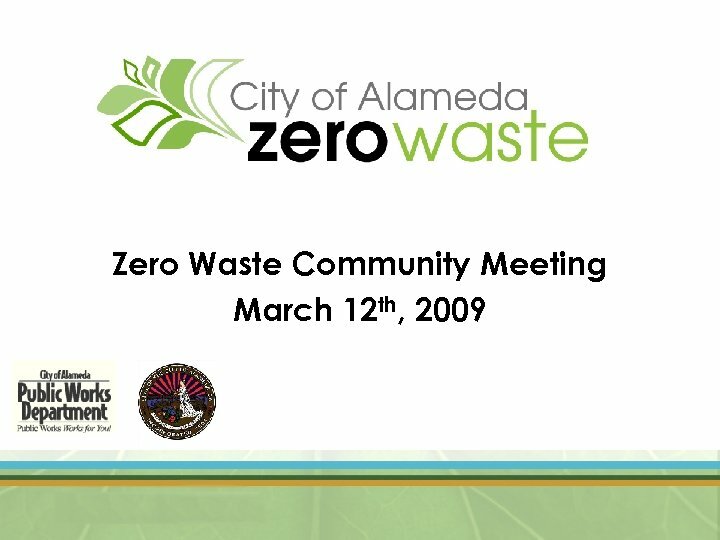 Alameda! 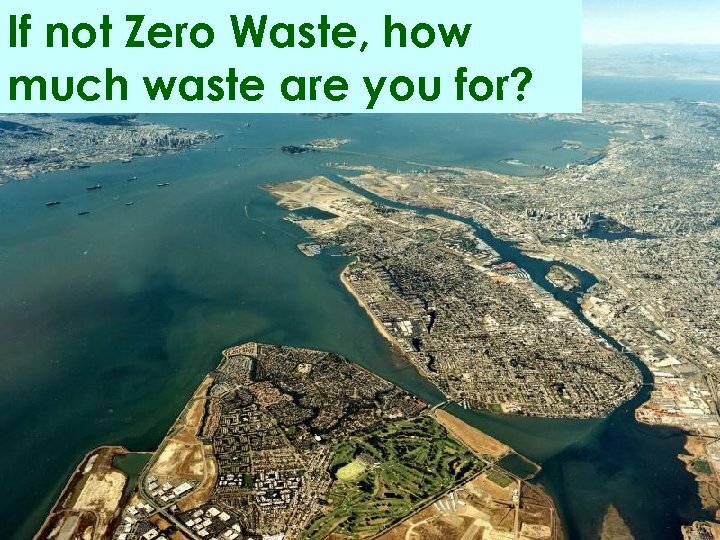 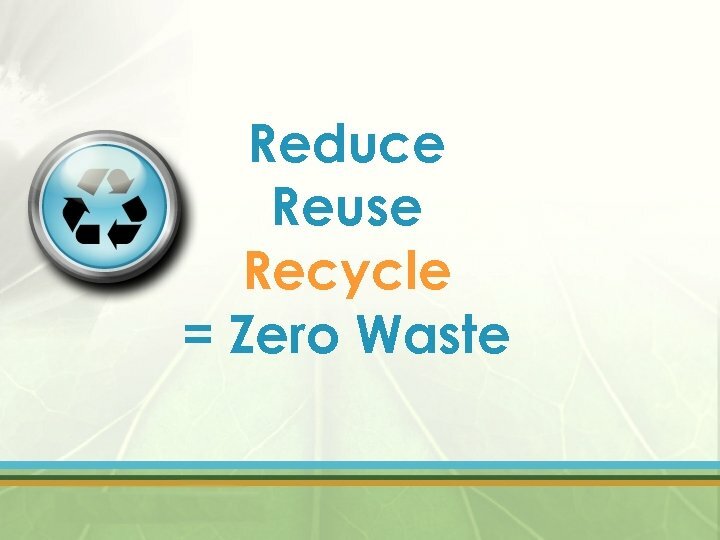 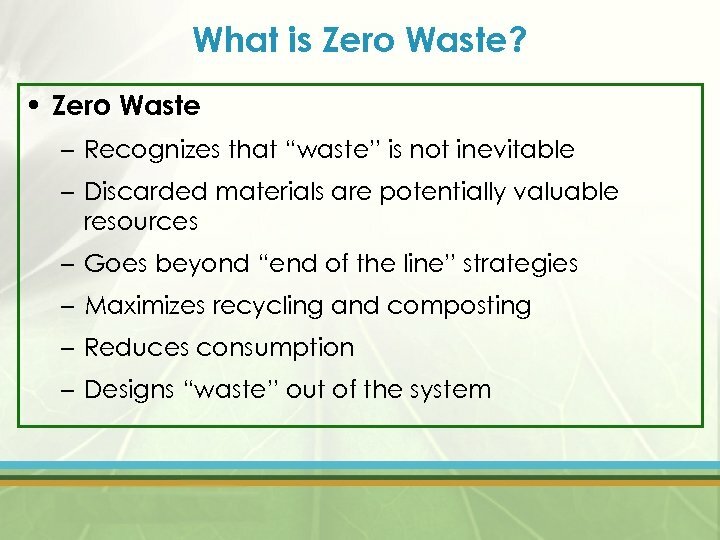 If not Zero Waste, how much waste are you for?